A dream come true. 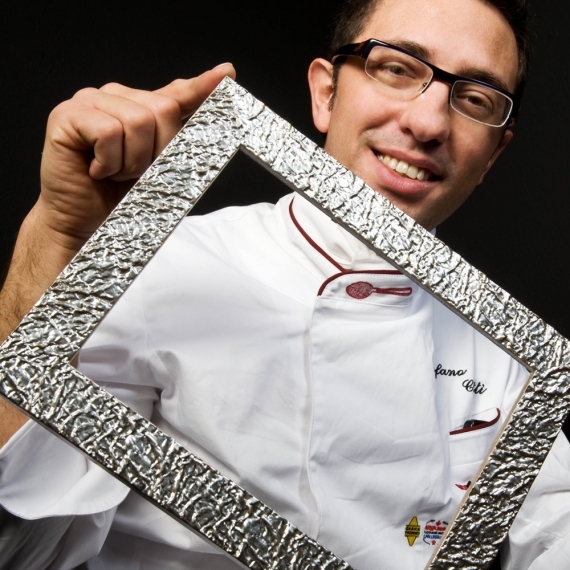 As a child, Stefano Ciotti dreamed of being an important chef. 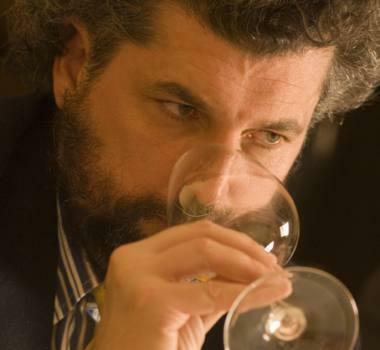 Today, after working side by side with Gino Angelici, Vincenzo Cammerucci, Silver Succi, Luigi Sartini, without forgetting the year spent at Iaccarino’s Don Alfonso or other shorter but meaningful meetings like the one with Gianfranco Vissani and the Paris adventure at Emporio Armani Café, he’s now the executive chef of Cattolica’s Carducci 76. Born in Montefiore Conca, graduated at the hotel managment school in Riccione - a city where, at the age of 27, he was directing a four-star hotel’s brigade de cuisine – Ciotti led the way. But his dream fulfillment is not a final goal. On the contrary, it’s a moment of satisfaction that encourages him to reach further points, always guided by the same light that lead him to be the best emerging chef according to Espresso’s Italian restaurant guidebook, on june 2009. It’s a road where, he himself admits, his mother cooking style played an important role: sincere, genuine and authentic flavors, a cardinal point together with the undeniable luggage of his childhood’s tastes and flavors. The same memory lives through territorial ingredients and certain combinations, however modified by the technical knowledge grown through his experiences and teachers, mixed to the flavors of the spices he brings home from frequent trips abroad. A formal cleaning, a tasty substance without useless tinsels. A cooking style he was awarded for and that he lives with great modesty, always convinced that best results are gained when the whole team is involved. When every plate is the result of each and everyone’s contribution.